Let one of our qualified Mortgage Loan Originators guide you on the right path towards purchasing or refinancing a home. Always responsive and helpful. Wouldn't have been able to do it without him! Extremely personable, fantastic personality. Her team is exceptional. Friendly people. The only thing making it better would be more time to gather info. Evan and Maddison were wonderful! I felt I could call with a question or concern at anytime, and they always responded right away. Mortgages and closings can be complicated, especially when buying and selling at the same time, and Family Mortgage took the stress away. I was kept informed and updated throughout the process. Even when there were snags with the builder at the end, Evan and Maddie came through and took care of everything. Thank you! Family Mortgage gets my highest recommendation. The great customer service I received from Mr Lawrece, and he staying on top of me making sure that I got things done in a timely manner. Ryan was a huge help in my first home purchase. I would highly recommend his advice and service to anyone purchasing a home. I was using an online, out of state company at first when I started looking to buy a house. That company made me feel uncomfortable.They were hard to get hold of. The Mortgage Firm changed that for me. Always there for me(even on the weekends). They explained everything to me and kept me at ease. Im really glad I went thru their company to buy my home. Very professional, knowledgable, and accommodating to my situation and needs. Walked me through the entire process and ensured I understood the requirements. 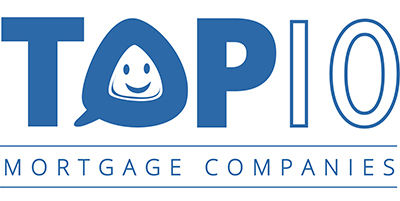 I highly recommend their services to anyone seeking a mortgage in Florida. Thank you!! Sam is the best!!! I had no idea the process could be so quick and painless. All of my (many) questions were answered promptly, with professionalism and enthusiasm. What a great experience! Chris was efficient, easy to work with, and took care of the details with ease. The quote was the most competitive and the closing process was smooth. Highly recommend!